Man oh man can things go pear-shaped quickly if you choose the wrong celebrant. It's a profession that for some reason attracts an unusually high number of "kooky" people (the majority of whom you wouldn't knowingly involve in one of the most important days of your life). We've seen them all - from super inappropriate comments, embarrassing name mispronunciations, awful outfits, jokes that fall totally flat or stories that go on. and on. and on. with tears in their eyes and laughter in their bellies. And here, with answers to all your celebrant-related questions is the amazing Jessie. I've had the great pleasure of working with Jessie plenty of times, and she never fails to deliver. She's witty, warm, and knows how to conduct the perfect ceremony to leave people's heart soaring, not snoring. (Do you think she'll be cross that I put her picture up there next to the "kooky celebrant" rant?). Tell me, J-Dawg, how did you become a marriage celebrant? She gave my husband and I two very uninspiring ceremony templates to choose from. We were crazy in love and these random templates certainly didn’t reflect our feelings for each other, so we rejected both options and I decided to write my own ceremony which I really enjoyed. After the event I had so many friends telling me it was the most heartfelt and personal ceremony they had ever experienced. I had two engaged friends ask me if I could write and perform their ceremony (I have a background in acting). Combining my natural skill set of writing, speaking in public and performance with my love of learning I found my calling. Just over two years after my own wedding I performed my first ceremony as celebrant for a dear friend and enjoyed every moment; and now eight years later I have turned hundreds of gorgeous lovers into husbands and wives. Often couples complicate things more than they need to because of pressure from others, or because they feel they need to keep up with the Joneses, which creates lots of unnecessary stress. You know in your heart what your perfect wedding should feel like. Stick to your first instinct and do it your way. Have the wedding that you and your partner want to have, not what you think you should be having. Keep it simple and trust your instincts. 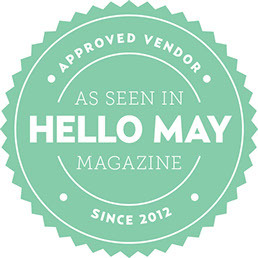 Do your research: you can get a good idea of what a vendor is about initially through their website, social media and reviews; then meet with them to see if you are compatible. From there, let them do what they do best. Choose vendors that you relate to, from your celebrant to your photographer. I feel an affinity with most of my clients. We always agree that we have found each other - the laws of attraction have been at work. Keep things in perspective throughout the process and especially on the day. We all want the perfect wedding day - we don’t want anything to go wrong. But remember a wedding is one day; a marriage is a lifetime. We get married because we want that lifelong commitment. Be over the moon that you have found the person you want to spend the rest of your life with. Be as organised as possible leading up to the day and then just go with whatever happens on the day. Most importantly, remember to keep smiling. What should couples look for in a celebrant? It all comes down to communication and feeling comfortable. Meet with your chosen celebrant, talk, laugh, talk and talk some more. It’s important that your celebrant gets you, understands you as a couple and is able to communicate that through your ceremony. I pride myself on being very approachable, relaxed, creative and fun yet highly organised. What questions should couples be asking their celebrant that they don’t know to ask? 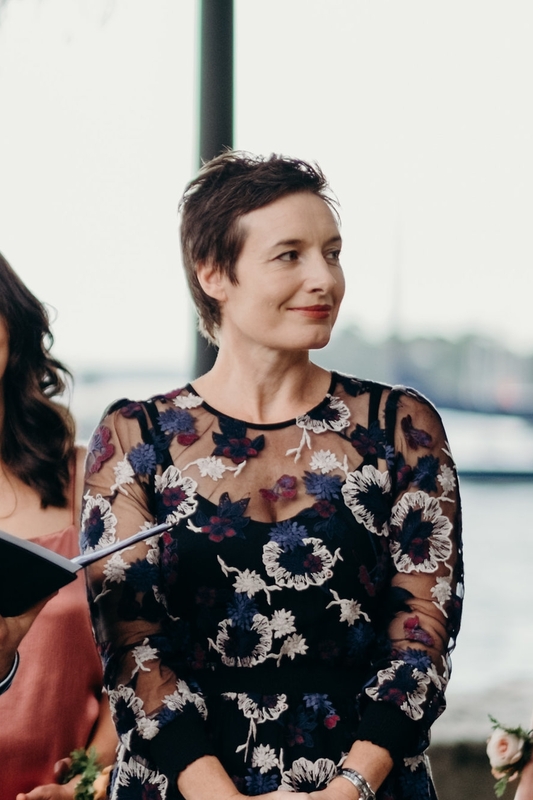 To be honest, thought it’s smart to have questions for your celebrant, the right celebrant should be able to take you through the whole process and answer all your questions before you’ve even thought of them. You should mostly be asking yourself how a celebrant makes you feel. The right celebrant will make you feel relaxed, comfortable and excited about the process. You really need that connection and rapport. To figure that out, ask your celebrant what they think are the important components of a ceremony; that way you get an idea about whether they’re on the same wavelength as you. To me it’s all about telling the couple’s story with a good balance of joy, warmth, sincerity and laughter. And with the vows, I try to encourage my couples to write their own, to create an honest moment from the heart. How do you obtain most of your clients? I am very lucky to say that most of mine come from word of mouth via past clients, people in the audience or wedding vendors that I work with regularly. That gives me an indication that I am doing good work. My wardrobe helps too. ☺ I have a beloved collection of vintage frocks, and some clients will request a particular one they’ve seen in a photo or at a wedding. I do end up in lots of the photos after all!! What’s the most unusual wedding you have ever performed? I once had an underwater theme wedding, it was so much fun. The bride was dressed as a mermaid and the groom was an octopus. And the best man was wearing the best shark costume I have ever seen. I already had a perfect vintage blue-and-white bubble-patterned dress, which I wore with a sailor’s hat and fake sailor tattoos. I had written the ceremony to reflect the theme with lots of cheesy underwater references. Every time I looked out to the audience I would spot another great costume and I’d have to stop myself from cracking up. The bride and groom trusted me, they had a great sense of humour and the results were spectacular. What was the most memorable wedding you ever worked at and why? I am so lucky, there have been so many. It often has nothing to do with the budget or size of the wedding but more about the love and the people involved. It’s just so beautiful to witness two people so deeply in love and be a part of their journey, to witness the love flowing from their family and friends who are most important to them. I love that every couple is different, every story is unique and every love is their own. What are your thoughts on marriage equality? I think marriage equality will make the world a better place. Love is love, it is important that everyone gets the chance to live the life they want. For me it’s all about equal rights. It has to change and it will change and I can’t wait until the day that I am able to legally marry my friends who are in love and in committed relationships that have been denied this right for so long.